United States Department of Defense/Wikimedia Commons. On October 13, President Donald Trump announced that he is decertifying the international Iran nuclear deal, which would leave the decision of imposing sanctions on Iran and terminating the agreement up to Congress. The deal is an international agreement between Iran, the P5+1—permanent members of the United Nations Security Council plus Germany—and the European Union. The agreement calls for Iran to drastically cut its uranium stockpiles and gives the International Atomic Energy Agency access to all Iranian nuclear facilities to monitor and verify their compliance with the agreement. In return for its compliance with the agreement, Iran receives relief from nuclear-related economic sanctions. By refusing to certify the agreement, Trump is throwing a wrench into the deal’s plans. He stopped short of full-blown termination of the deal, but this action only adds to a laundry list of actions this president has taken to put a dent in America’s credibility on the world stage. Take, for example, Trump’s announcement on June 1 that he will withdraw the U.S. from the Paris climate accord. With both Nicaragua and Syria signing the accord within the last month, the U.S. is now the only major country in the world without any long term commitment to reduce its greenhouse gas emissions. With America taking a backseat in issues like combating climate change, other countries like China are now taking a leading role in the world. Not only would terminating the deal hurt America; it would also spell trouble for one of our closest allies: Israel. The last thing Israel wants is a nuclear Iran on its doorstep. Dangerous rhetoric from the Iranian regime combined with Israel’s ongoing conflict with the Iranian-government-backed terrorist organization Hezbollah has given Israel reason for concern if such a scenario arises. Congress must keep the interests of Israel in mind when making a decision on the Iran nuclear deal. As much as the deal has implications for the U.S., those implications are far more dangerous for Israel. There are certainly some flaws in the deal. For one, it does nothing to prevent Iran from sponsoring terrorist organizations in the region like Hezbollah. However, that was never part of the agreement’s goal. 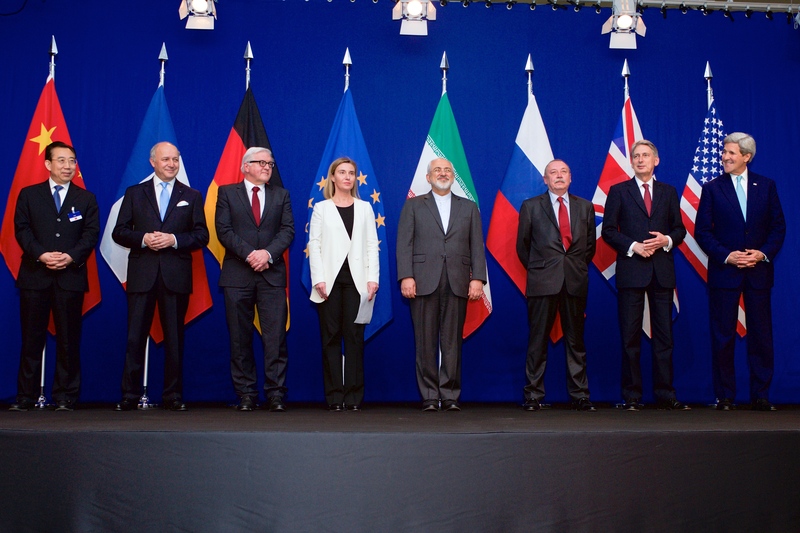 The deal’s goal is nuclear non-proliferation in Iran. Yes, the world would like for Iran to stop sponsoring terrorist organizations, but to make a deal work, both sides have to make concessions. In signing this deal, the U.S. and other western powers conceded that a non-nuclear Iran is preferable to a nuclear one, whether they sponsor terrorist organizations or not. Since by all accounts it is evident that Iran is complying with the terms of the agreement, terminating the agreement may not only undermine America’s credibility; it would also give Iran good reason not to negotiate another deal. Lawmakers have 60 days since Trump decertified the deal to reimpose economic sanctions on Iran. If they do not act within this time, the deal will stay in place, saving the U.S. from losing any more credibility on the world stage. No Replies to "Congress should go against Trump, keep Iran nuclear deal in place"